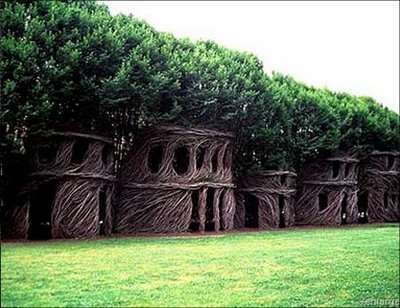 Tree shaping is considered as an art of manipulating trees and their roots to create ornamental shapes and structures. Most of the examples of tree shaping are based in the natural phenomenon of inosculation. Large designs may take several years to achieve the design projected, depending on the size of starter material, the species rate of growth, cultivation conditions and the height of the design.